Learn about how Current RMS empowers you to deal with your shortages. 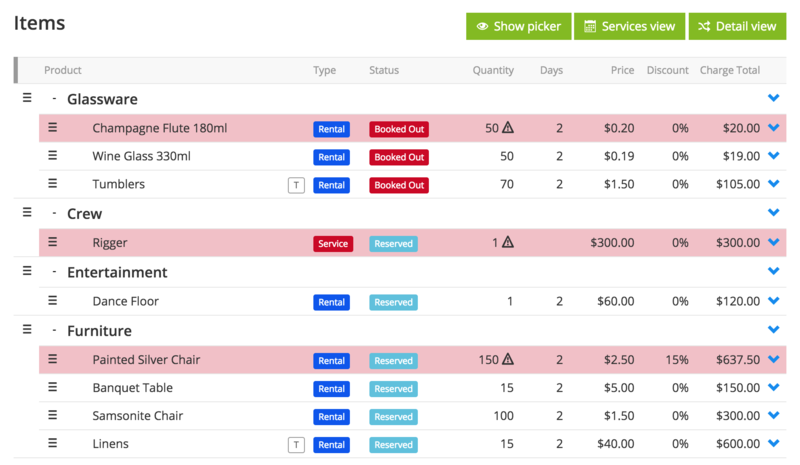 By default, your Current RMS system will allow you to overbook stock – this is so that it doesn’t prevent you from getting an order out of the door if you’ve simply forgotten to check-in stock on a previous order or can easily sub-rent from another supplier. In this guide, we’ll run through the ways that Current RMS lets you know about shortages and the tools provided to help you resolve shortages. In addition to the availability screens that you can check to see what’s available at any point, Current RMS flags shortages in a number of ways throughout your system, enabling you to make smart decisions about your stock. 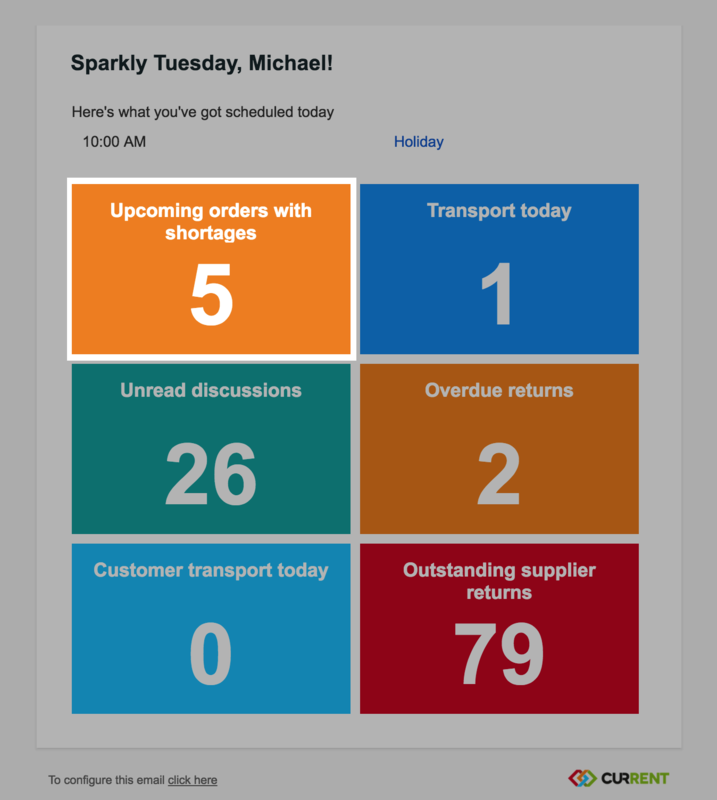 As soon as you log in, your dashboard shows a count of any upcoming opportunities that are orders or reserved quotations that have shortages on them. Click this tile to view a list of opportunities that you need to troubleshoot. Don’t forget you can get a count of your upcoming orders and reservations with shortages in your inbox everyday, along with other key information from your Current RMS system by turning on the daily summary email. On orders and reserved quotations, product and services shortages are highlighted in red in the opportunity order view, making it really obvious where your shortages are. Wherever opportunities are listed throughout the system, you’ll see a red ⚠️ symbol next to the name of orders or reserved quotations with shortages. The primary way that most companies resolve shortages is by sub-renting stock, i.e. renting gear from a third-party to then rent to your customer. Got a quotation that you’re confident is going to proceed? Mark it as reserved to reserve stock on it. 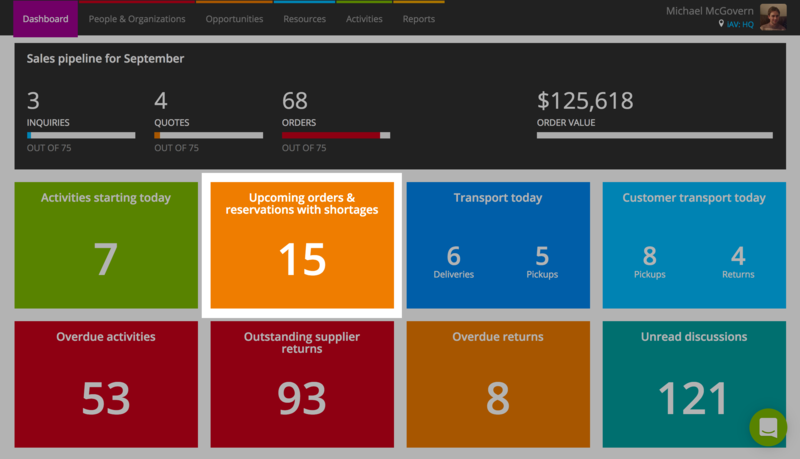 Shortages are highlighted as they are on orders, so you can start troubleshooting them straight away. Don’t want to add more stock than you have to orders or reserved quotations? Turn on “Enforce stock availability” in System Preferences to prevent you from overbooking. On your dashboard, you can see a count of any opportunities where the end date has elapsed and items haven’t yet been checked-in. Where an opportunity is overdue for return, your Current RMS system can automatically convert the opportunity to an open ended rental. When open ended, stock is considered unavailable indefinitely until checked-in and finalized. You’ll also receive a handy email letting you know of any shortages created in future as a result.